His actions are dictatorial, but he is cleaning up corruption, working against Iran, modernizing the economy and fighting extremist clerics. The momentous change instituted in Saudi Arabia by Crown Prince Mohammed bin Salman (MBS) in the recent period has surprised and unnerved many. The sweeping measures taken by the 32-year-old Crown Prince - - who is reported to soon be crowned king by his father, King Salman - - are breathtaking in their scale and unprecedented in Saudi Arabia where rule has traditionally been consensus driven. MBS has assumed one portfolio after another and now controls the political, economic and military levers of power. Under the auspices of an anti-corruption drive, MBS has detained without charges a number of Saudi princes, ministers, former ministers, media owners, tycoons, intellectuals and influential clerics while seizing their assets. Also replaced was the head of the Saudi National Guard, widely acknowledged as the most effective and well-trained element of the country’s armed forces. Many have described MBS’ actions as a power grab and coup d'état against the Royal Family. MBS is accused of sidelining rivals, consolidating the reigns of power and creating a new Saudi Royal Family from the House of Saud as a way of ensuring his ascension to the throne. Out of the autocratic playbook of Xi and Putin, these moves are an attempt by MBS to create a unitary executive that will allow him to take on big ticket items in the foreign policy and domestic realms, many involving important reform. Despite MBS’ undemocratic actions, common interests oblige Washington to support his efforts of forcing change on the many deep-rooted issues facing the kingdom while also working with him to implement sustainable political reform. He has been tough on Iran, accusing it of trying to dominate the Middle East, while working to build on the bond developed between his father and President Trump. Much to the detriment of Saudi Arabia and the U.S., Iran is ascendant. It has successfully kept Barshar al-Asad in power in Syria, enabled Hezbollah’s political dominance in Lebanon, fomented unrest in Bahrain, contributed to the defeat of ISIS in Iraq through Tehran-backed paramilitary groups (who still remain on Iraqi soil) and armed to much effect Shia Houthi rebels in the Yemeni civil war. Beyond this, Iran’s nuclear program remains intact. MBS is trying to turn this around. He has been tough on Iran, accusing it of trying to dominate the Middle East, while working to build on the bond developed between his father and President Trump in their efforts to restrain Tehran. He has also taken on Iran-backed Hezbollah. It is believed by many that Saudi efforts to remove Lebanese Prime Minister Saud al-Hariri from power reflect an intent by MBS to confront Hezbollah which for years has done Tehran’s bidding in Lebanon, Syria, Iraq and now Yemen and Afghanistan. 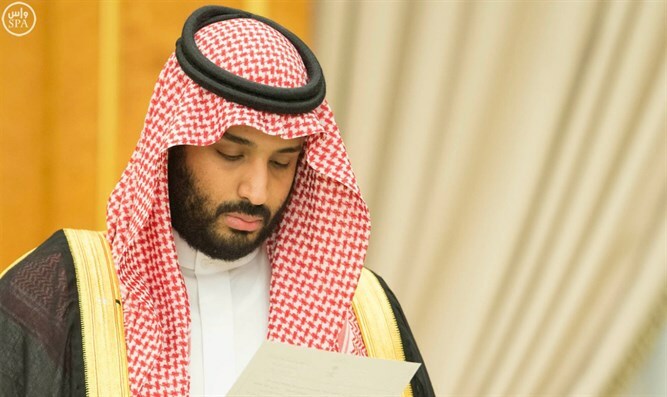 MBS is spearheading Vision 2030, a plan to modernize the economy that involves research and development spanning biomedical, AI, drones and robots as well as the building of a new $500 billion city to support these efforts. The new city will also be a place of entertainment where men and women can mix publicly without the interference of authorities. These and other initiatives - - steering Riyadh away from reliance on fossil fuels; privatizing state-owned companies; allowing women to drive - - are part of MBS’ efforts to remake Saudi Arabia’s economy and society. While MBS’ consolidation of power has not shown designs on expanding the rights of Saudi citizens, his anti-corruption drive is a small step towards political reform. Saudi youth had become resentful of the excesses of the Royal Family and the elites who supported them, many of whom had become corrupt. The arrests of key figures is an attempt to show the broader Saudi society that the elites’ period of entitlement has come to an end. Also at issue is the religious establishment of clerics who have traditionally been one of the pillars of power in Saudi society. These clerics bear the guilt of spreading Wahhabism, a fanatical and intolerant strain of Sunni Islam identified as the main source of global terrorism ideology. Not all of MBS’ moves have borne fruit, however. Riyadh’s war in Yemen has failed to stop the Houthis, resulting in a human tragedy of civilian bombing deaths, a cholera epidemic and mass starvation. The boycott against Qatar has not yielded any concessions and the diplomatic crisis continues, hurting both countries. Beyond this, it remains to be seen whether or not MBS will secure the loyalty of Saudi Arabia’s internal security and foreign intelligence services, two key instruments of power of the kingdom. MBS’ reforms necessitate a despotic power that is difficult for Washington to swallow. The extraordinary means he has taken to concentrate power - - locking up critics, seizing assets of rivals, detaining media figures, etc. - - reflect approaches taken by America’s traditional adversaries, not its allies. Yet, the menace of Iran as well as the prospects for curbing the export of hateful Wahhabi ideology require the U.S. to support MBS. All this while working with him to do more towards protecting the political rights of Saudi citizens and advancing the rule of law. 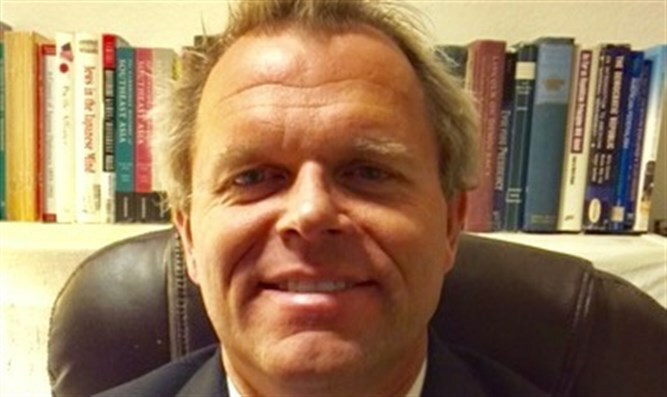 Ted Gover, Ph.D., is an adjunct instructor of political science at Central Texas College, US Marine Corps Base Camp Pendleton.